Comments: One of the larger growing varieties with white in the leaves. Over 1,000 named varieties and some newer ones are sun-tolerant. 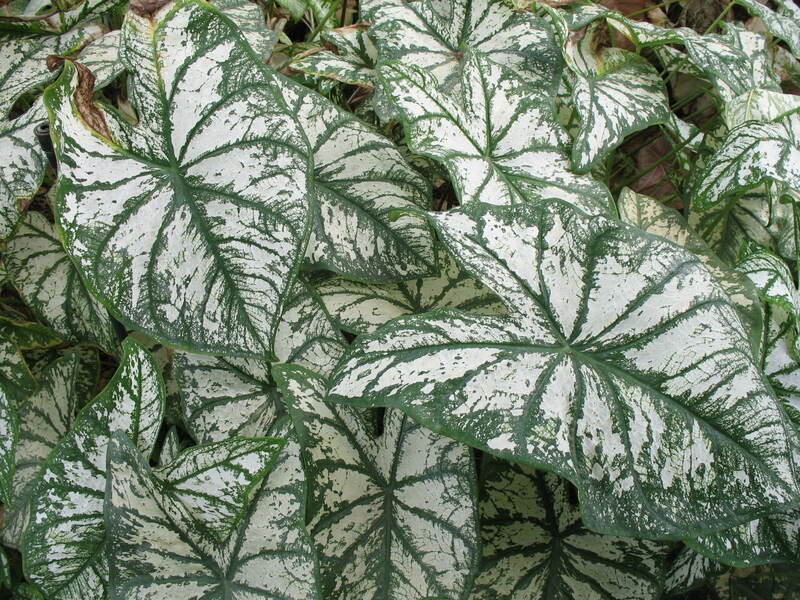 Used for color in shady to part shady are in the late spring and summer landscape. Do not plant the tubers outside until the night temperature average 60 F. Caladium tubers seldome overwinter in the ground except in zones 10 and 11. Plant tubers in a loose, porous soils that are well drained.